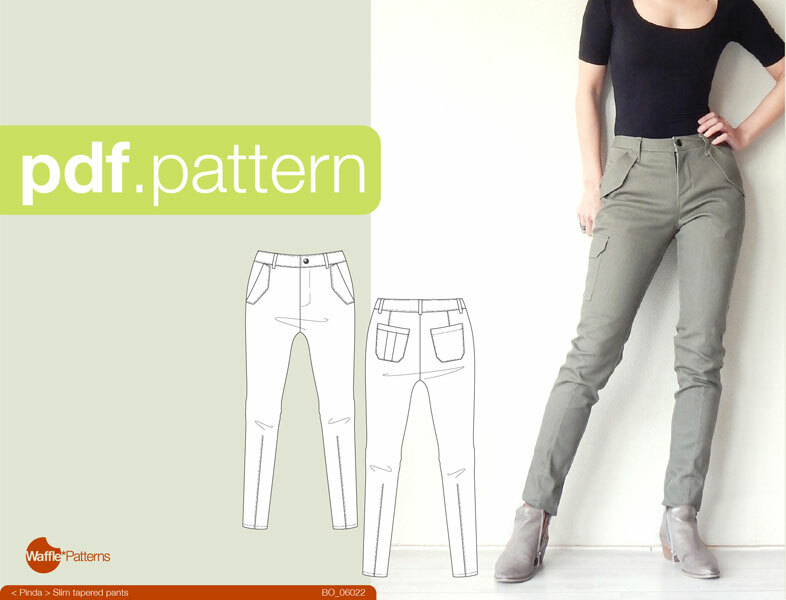 The pattern makes a slim fitting pair of pants that feature tapered legs towards the ankle with darts. 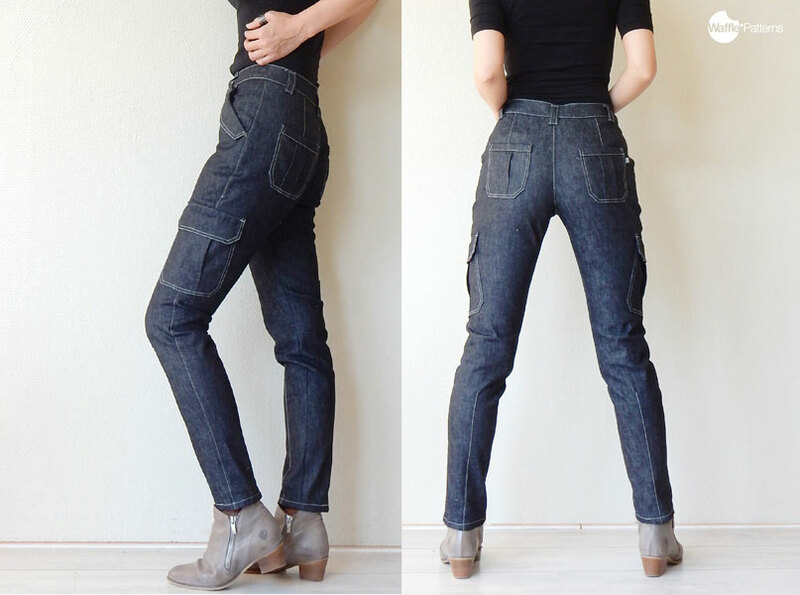 It has a front fly zipper opening and a mid-rise waistline with two patch pockets on the back. The Pinda Slim Tapered Pants pattern helps you make a slim fitting pair of pants that feature tapered legs towards the ankle with darts. 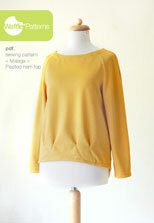 The pattern has a front fly zipper opening and a mid-rise waistline. 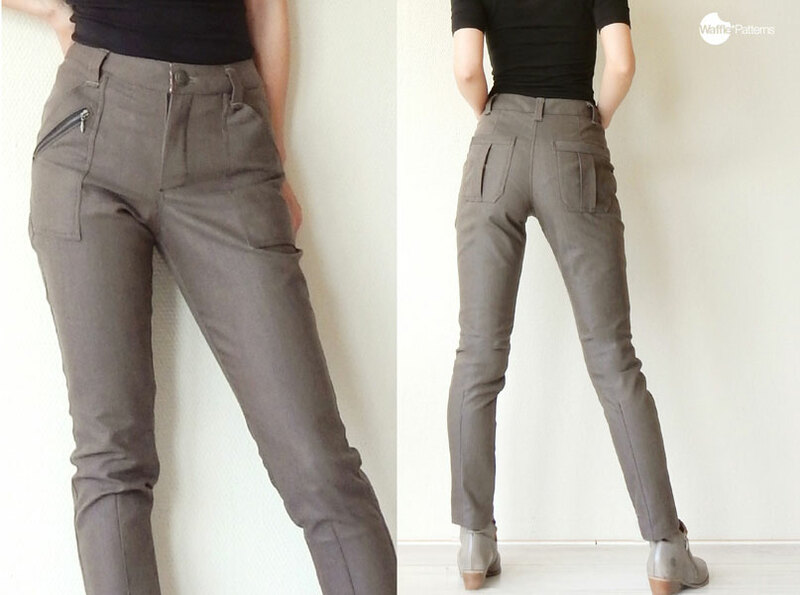 The pants are ankle length with two patch pockets on the back. 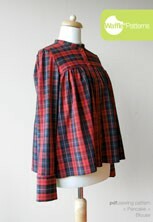 The pattern also features three options for front side pockets. 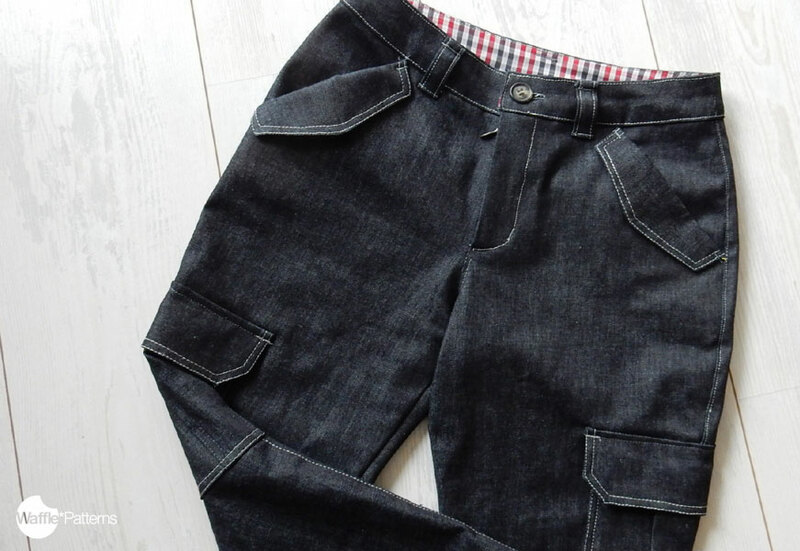 Trouser fabrics with elastane or spandex, like stretch denim or stretch cotton twill. Matching facing/pocket fabric. 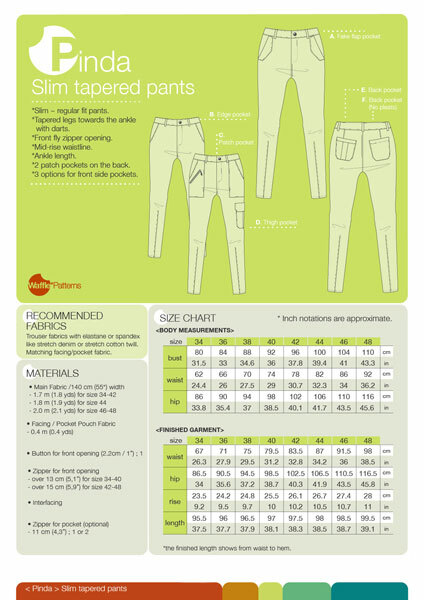 Click the last image at above right to see finished measurement chart.